PixelCanvas.io is a functional bot which helps you to draw using a little effort. It does not provide you with simpler or faster drawings. You can how ever draw various images that cannot be drawn normally. Have you ever wanted to play the PixelCanvas.io bot game with a number of online players on an almost infinite canvas? What Can You Do With PixelCanvas.io Bot? PixelCanvas.io allows you to draw whatever you want on the canvas with players from all over the world. This is a never ending canvas where you can see other people’s creations without playing for yourself. Spend time looking at the imaginative drawings. PixelCanvas.io bot helps you to draw images and pictures and replicate the same in the PixelCanvas.io. This is software where you can combine and join with your friends to draw quickly and also protect your territory. You can draw any kind of image with this gaming software easily and your image would be converted to the nearest PixelCanvas.io color for all the colors. The image can be previewed after it is drawn. This software can be installed with the help of the Python. PixelCanvas.io is also known to change with the APU validation system as well. This software helps you to place color pixels on an infinite canvas with various other players online. 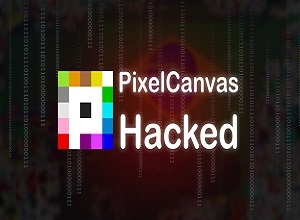 How Big Is The Canvas In Pixelcanvas.io? Every canvas has a limitation and PixelCanvas.io is also known to have a limitation. The current limitation of this canvas is the integer representation on computers. The current limitation of the canvas is 32 bit integers which can represent values of around -2,147,483,648 to 2.147.483.647 approximately. This is quite a big canvas where you can draw almost anything. 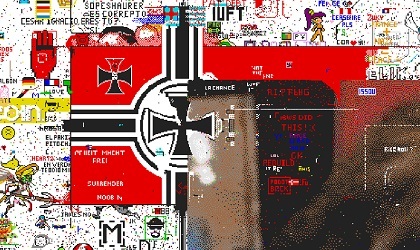 You can place 1 new pixel in 1 minute and 45 seconds however the timer decreases while you move towards the centre of the canvas. You can try and create your own designs or also help others improve and enlarge their drawings. This is a great platform that helps you to test your imaginative skills and also allows you to help and cooperate with other people to draw various images on the never ending drawing platform. PixelCanvas.io bot is a very interesting game for people who love to keep on drawing and drawing. Spend your time playing this mind boggling creation game. So come and play this exciting game and be a part of future.